Dehorning should be done by a trained professional. 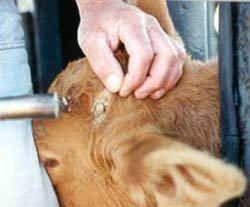 Dehorning or disbudding is the process of removing or stopping the growth of the horns of livestock using a special dehorning hot iron. Dehorning should be done by a trained professional. Animals are often dehorned for economic and safety reasons. Horns can pose a risk to humans, to other animals, and to the bearers of the horns themselves. EG. Horns can get caught in fences or prevent proper feeding. Horns may cause injuries to handlers or other cattle. Horned livestock may require specialist equipment, such as feeders and cattle crushes. In some breeds and in some individuals, horns may grow towards the head, eventually causing injury. Horns may become broken, causing blood-loss and potential for infection. Horned livestock may become trapped in fences or vegetation. Why dehorn calves as new born? FRS provides you with a skilled operator to de-horn your calves using his own crate and specialised equipment. 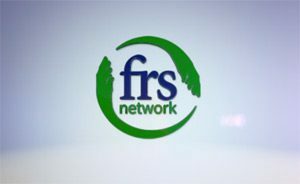 FRS can arrange for an operator to call to your farm on a regular basis (every 10 days or so during the calving time) to perform de-horning as the new-born calves arrive or provide a group of FRS operators to get the job complete within a specified time. Remember! The date of de-horning must be recorded in the Animal events book. Why not get in touch with your local FRS Co-op to find out about our Calf Dehorning service.